Quick Update ~ Riley’s next Cath (#26) has been scheduled for next week. They have also already scheduled the MRI for right before the cath. Dr. Licht will come to the CICU post Cath to discuss the results from the MRI. 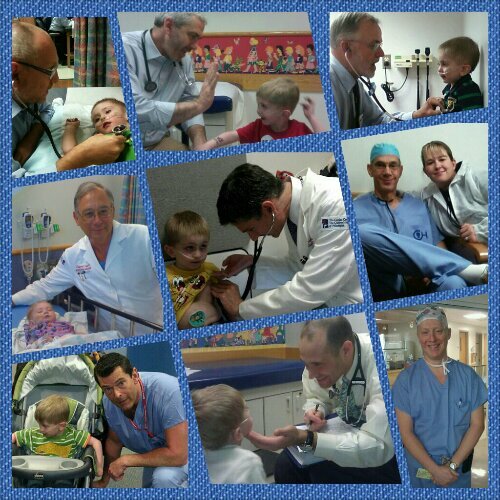 We do have to tinker with the premeds for Riley’s contrast allergy because last Cath he had a full blown reaction and within a hour of being in the CICU. This has been under control for the three caths prior. Luckily the reaction doesn’t cause him any distress but we just never know what could happen! As the doctors in the CICU say .. That’s why he is Here! We returned from Neurology with not to many answers. We do know from testing that Riley has two areas in his brain that may make him more prone to seizures. Areas that will be further looked at on MRI during Riley next Cath. Its hard to say much more without the MRI. If Riley was a Normal … Healthy … Child the DX would most likely be migraines, however, we all know that Riley is anything but normal. These areas could be caused by injury such as lack of O2 … Something you wouldn’t worry about with a Healthy child but we already know that Riley Sats in the low 70’s on 4L of O2 so it could very possibly be do to that. I would rather wait to comment further until the MRI. 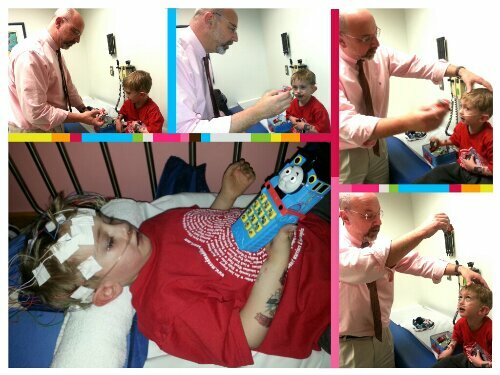 Brief Update ~ On Friday Riley will be seeing Dr. Licht in Neurology at Children’s Hospital of Philadelphia. The reason being that there has been multiply times now that Riley will almost Spontaneously put his palm of his hand to his forehead … Start Crying that he has a Boo-Boo and then starts throwing up .. A Lot … Then he falls asleep for several hours following! Once he wakes up he is seemingly ok. The teams have discussed it and think the best thing to do is see Neurology. Riley is already scheduled to see Dr. Hanna on Monday but he doesn’t want to wait till Monday for Riley to see Dr. Licht.